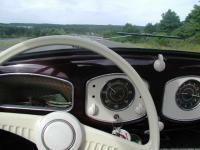 120kph in my 1950 sunroof sedan. Stock 25hp engine. Pedal on the floor, downhill, slight tailwind.